A term used in SF time management which deals with following year end activities . Below rule carry forwards all balances from old account to new account and closes old account. Check Amount posted logic in create statement section of above rule.Its negating the remaining balance by adding opposite sign. 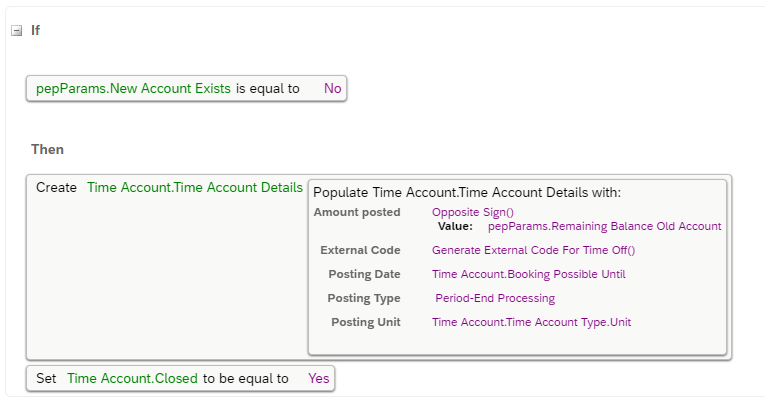 All “employee time” instances within this account will become non editable once account is closed.There is a field named editable in “employee time” object, value of “editable ” field will be set to “NO” .User will no more be able to request any leaves on that account too. Above IF condition usually helps to close the accounts of terminated user’s who may not have a follow up account. Create newAccount.Time Account Details: Its creating a time account details within the new account and will post carry forwarded balances as per the logic written in “amount posted” section. Navigate to Manage time off structures—>Choose respective time type—>add rule in period end processing rule field. Simulation is a trial run which will helps to check how the balances will be posted after actual PEP run. It’s possible to simulate PEP during open period. PEP will fail for a user if there is any pending leaves. Approve all pending leave requests of that specific time account before running PEP. Approval should be done via UI,you should not import the leaves with approved status ,this can cause inconsistencies like workflow request will still be dispayed in “to do” list etc..
1.Error :You cant close the account because it contains employee times with status Pending. 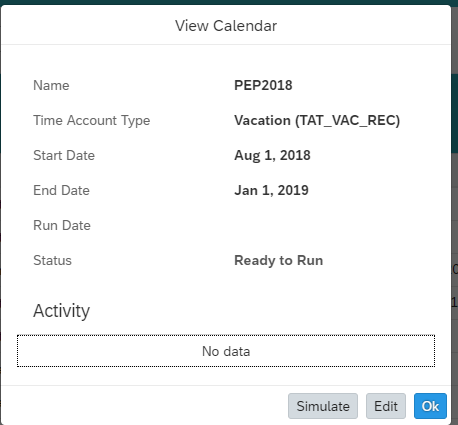 Check whether any users related to this time account type has pending leave request.If so ,approve the leave request and run the calendar again.System will not process PEP if a user has a pending request. 2.Error:Parent cannot be null for creating new child! 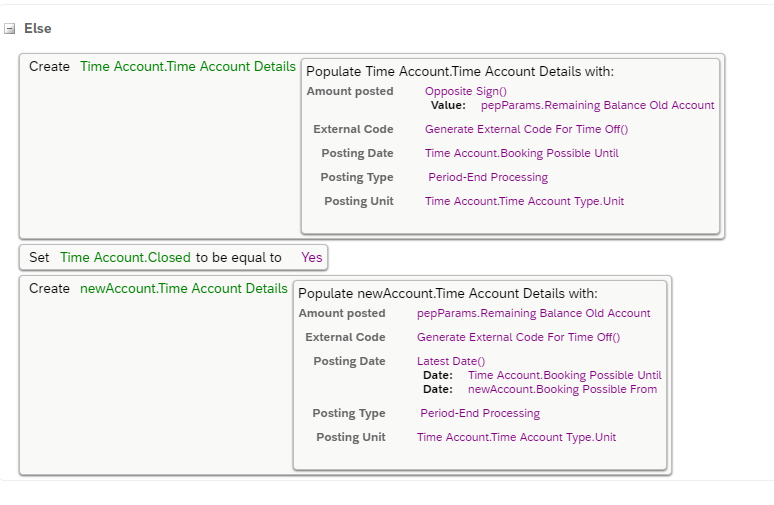 Check the posting date configuration inside the create .New Account.Time Account Details section in the PEP rule. Drop your comments below if you are facing any issues or if you need more information.